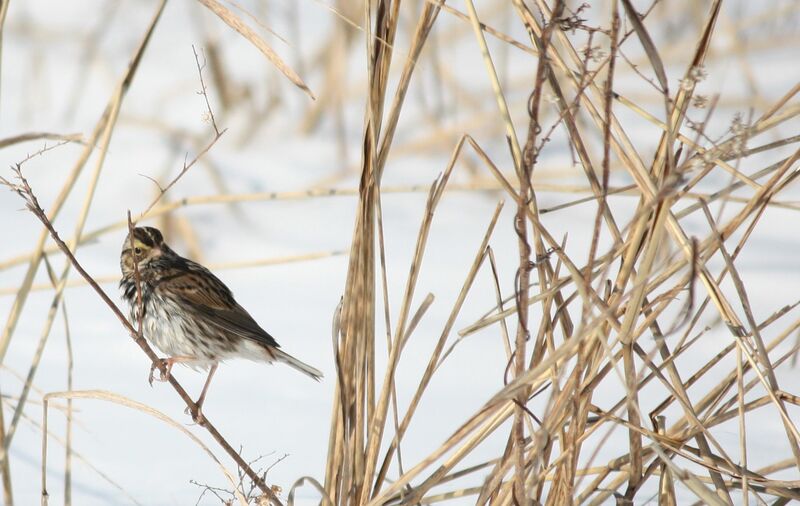 Commonly called LBJs or Little Brown Jobs, sparrows are notoriously hard to identify. 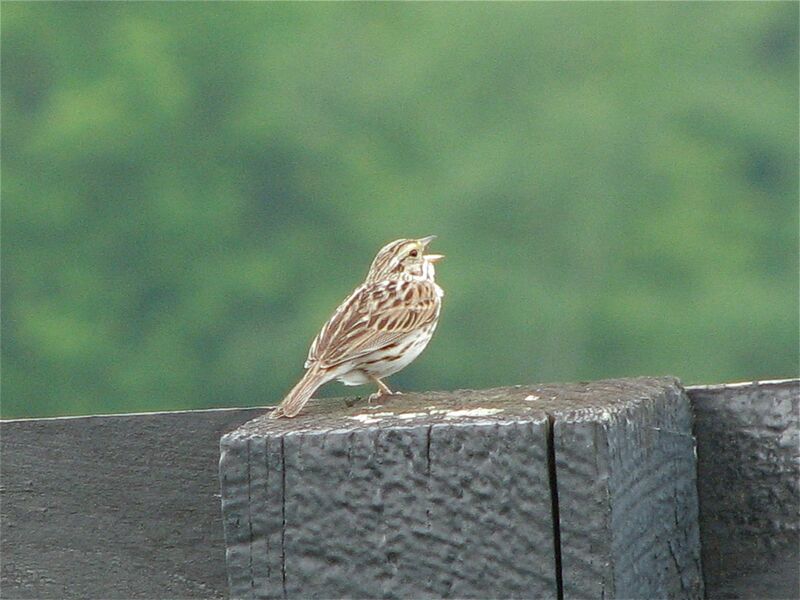 This one is a Savannah Sparrow. Can you see the little bit of yellow by the eye? Classic. I am fond of sparrows. They are ubiquitous yet overlooked in favor of the brighter, more colorful, more easily identified birds. Many of them have beautiful easy-to-learn songs, like the ol’ sam peabody of the white-throated sparrow or the ping-pong balls of the field sparrow or the distinctive maids, maids, maids, of the song sparrow. I always try to spend time with sparrows. Let me tell you a sparrow story. I was with my sister at Point Reyes National Seashore in California at the end of September for our birthdays. This was a few years ago. It was cold and windy out on the point. I was standing in a field birding every bird looking for a golden-crowned sparrow, a life bird for me. There were hundreds of sparrows, popping up and down, mostly white-crowned. My sister is a good birder but after way-too-many LBJs, she wandered off to look at a Say’s Phoebe and to ogle the California Quail. Finally a golden-crowned sat on the top branch of a bush, I shouted for her to come see it, but she was on a Black-throated Gray Warbler, also a life bird for me. I abandoned extolling the virtues of the sparrow and dashed over for the warbler. Totally fickle right? Thankfully I have seen many golden-crowned sparrows and savannah sparrows after that in California and Alaska but I have only ever seen the black-throated gray warbler just that once. Thanks Gale for being bored of LBJs. But if we hadn’t have been hours in that field sorting out sparrows, we would never have seen the black-throated gray. The morale of the story is–Spend time with sparrows, you never know who is hanging out with them.